40mm drivers with powerful magnets for potent bass reproduction. 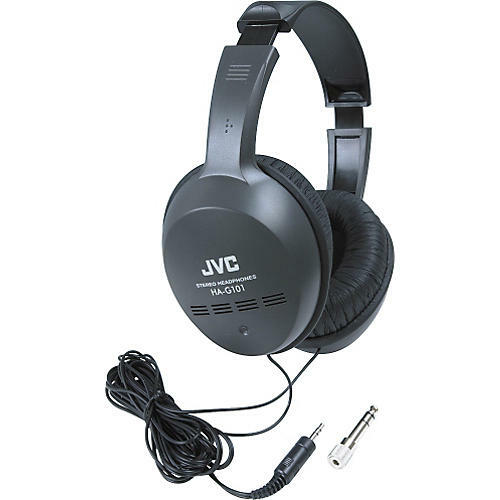 JVC HA-G101 Headphones deliver accurate signal with crystal clarity. Great sensitivity and frequency response. 32 ohm impedance, 18Hz-22kHz response, and a single 9'10" cord with plated plug that minimizes tangles. 50mW handling. 5.3 oz.